Think wood flooring is just about colour? 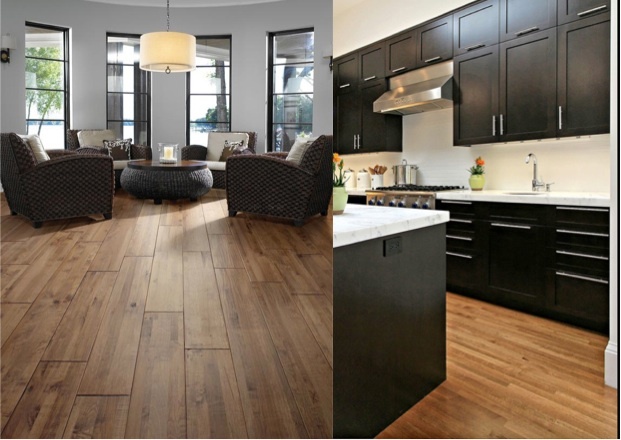 Here's some practical tips & design inspiration for choosing your wood flooring to add real style. 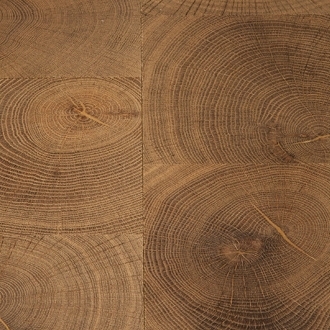 Starting with the type of wood flooring, real wood flooring is completely timeless and beautiful. The wood brings so much warmth and character to a room and works for tons of styles and looks. It is subject to humidity levels and so the wood will expand and contract in differing humidity and so it needs to be carefully chosen and installed to ensure it stays looking fantastic for a long time. But it it doesn’t have to be completely solid wood to achieve a good look. There are some fantastic engineered wood flooring companies out there where the finish when laid is on par with a solid wood floor, but with added practicality and at less cost. 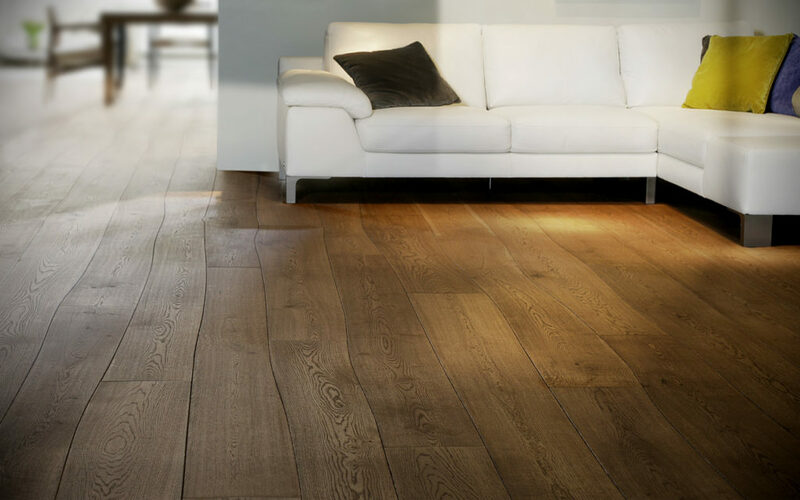 Engineered wood flooring works with underfloor heating where as real wood doesn’t. In it’s basic terms, engineered wood flooring is a layer of real wood to give you the right look and feel, that is then backed by core made up different woods to bring in strength and durability. There are options for the top wood layer, dependent on durability needed and budget but you want to see a good layer of colour on the side profile so you know the depth of the wood colour – really important to make sure your flooring stays looking good for a long time. Then on to laminates. Laminates are basically an image of wood printed on to plastic and then adhered to MDF. They are much less expensive than wood or engineered wood flooring and don’t require expert installation. One of the main drawbacks is that they can’t be repaired. If damaged, any scratches can’t be sanded out (as they can with the other two types) and if they get really wet (lets say a wet dog on a rainy day or knocking over the mop bucket) there is a chance of staining, bowing and flaking. 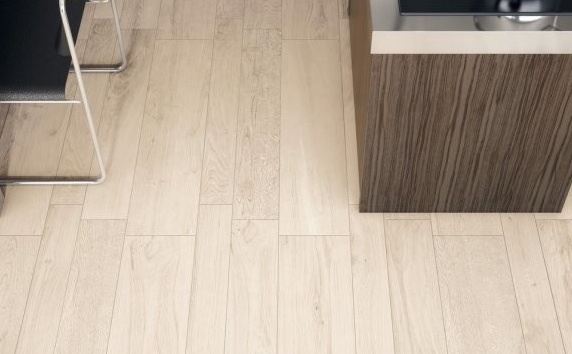 Personally I have yet to find a laminate that is a good substitute for a ‘real wood’ look, such as oak, they tend to be quite shiny and plastic looking. But for the more modern woods such as bamboo, laminates can look really effective. An easy way to add extra design flair to your flooring is by choosing a the plank size. Most types of wood flooring will come in differing plank widths so you can choose the best size, or sizes to match your room. Even in small rooms don’t feel restricted to thin planks – a reasonable width on the plank will make the room feel bigger. Think of it in terms of stripes. Thin stripes over an area make it look smaller and wider stripes make it look bigger. Take a look at these two walnut floors – despite being large rooms, the wide planks help to make the left hand side room seem much bigger than the thinner planks on the right hand side. 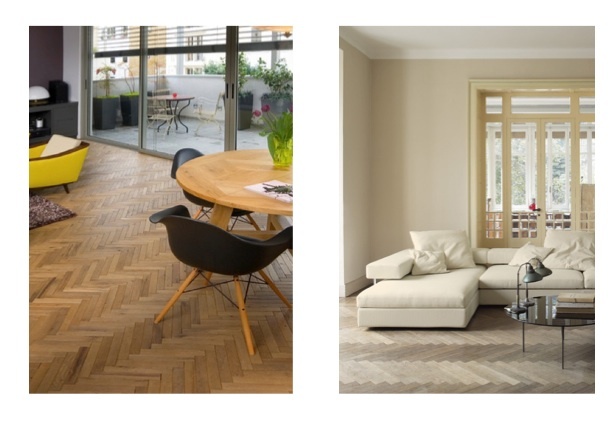 I have got a real thing for herringbone or chevron patterns in the flooring at the moment – they just look absolutely stunning! Words just fail me on just how amazing this floor is – each plank is cut in line with the shape of the tree to give a curved edge to each board and meaning tons less wastage per tree so good for the environment too. So, it really isn’t that standard after all is it? !